A holy grail time-lapse is a flicker free sunset or sunrise transition. It’s called the holy grail because it has been so hard to achieve. You can buy this Rokinon 14mm F2.8 lens for Canon with Canon mount online for about $350. It's a manual lens with an aperture ring. A manual lens like this is ideal for time-lapse because it has no aperture flicker. Aperture flicker happens with automatic lenses when the iris is stopped down just prior to the shutter opening. The iris opening isn't exactly the same each time so the light through the lens is different each time resulting in flicker. 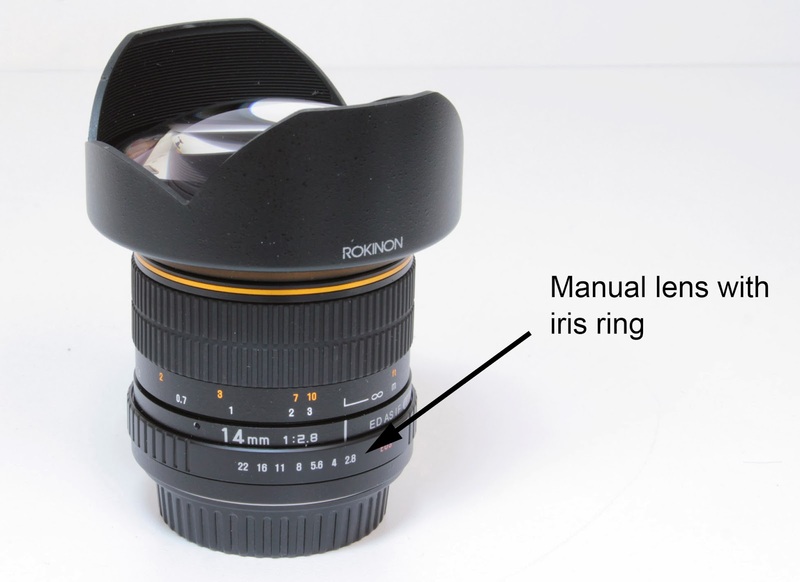 A manual lens doesn't have aperture flicker because the iris mechanism doesn't move when the shutter opens. It only moves when you move the aperture ring. Watch this video to see how to do a manual lens holy grail with GBTimelapse. Key to using a manual lens, is knowing the actual t-stop difference between the lens' min and max f-stops. For example, this Rokinon lens has a 6 stop range from f/2.8 to f/22; but the actual t-stop difference is 5.11 stops. Watch this video to see how to calibrate a lens' t-stop values.